In the latest development, the university has been ranked first in QS Arab Universities Ranking, which started in 2014 in which 250 universities participated. Meanwhile, Sulaimani University has been ranked second. This has been considered as a remarkable success for the Kurdistan Region universities. 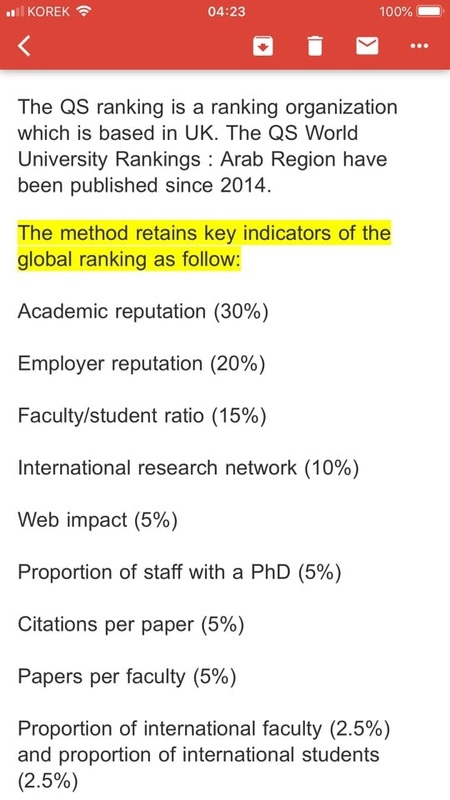 Also, earlier Salahaddin University-Erbil was ranked second in Iraq in Webometrics rankings, which included 11 Iraqi universities. The University president has regarded high the role of the staff including lecturers, and employees who have worked ceaselessly to help develop the University.